There was a piece by the LA Times contributor David Lazarus the other day about the possibility of a “Postal Bank”. 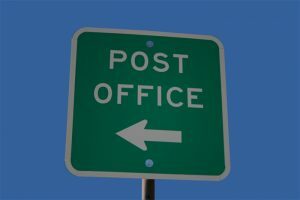 NY Sen. Kirsten Gillibrand introduced legislation to allow the Post office to conduct banking services such as checking and small loans. All at reasonable rates and that’s the problem. This idea has been beaten down before by the lobbying of the “short-term” loan industry. Since it would give low-income consumers a cheaper alternative to a safety net and cash management system it represents a threat, not a benefit. The US Postal Service, Lazarus reminds us, is losing money on first-class mail delivery; not the third-party package deals that are actually a main source of revenue. Being able to offer banking services would provide recurring revenue that Postal Service needs along with an option that would greatly benefit customers. There are many parents that would love to have their kids learn about financial responsibility without the fees incurred by using a large bank. I will pass along any further information about how to support this piece of legislation.